Cash Rating £100,000 (Grade V) / Valuables £1,000,000There are 20 products. 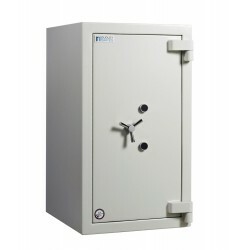 Chubb Safe Trident Grade V Size 110K comes with two double bitted key locking mechanisms and a Cash rating of £100,000 / Valuables cover £1,000,000. Chubb Safe Trident Grade V Size 170K comes with two double bitted key locking mechanisms and a Cash rating of £100,000 / Valuables cover £1,000,000. 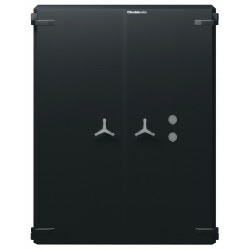 Chubb Safe Trident Grade V Size 210K comes with two double bitted key locking mechanisms and a Cash rating of £100,000 / Valuables cover £1,000,000. 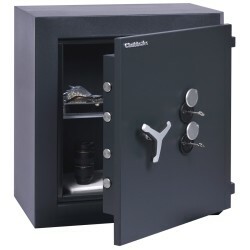 Chubb Safe Trident Grade V Size 310K comes with two double bitted key locking mechanisms and a Cash rating of £100,000 / Valuables cover £1,000,000. 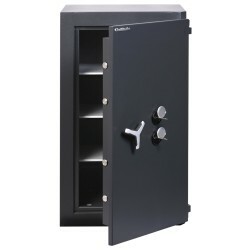 Chubb Safe Trident Grade V Size 420K comes with two double bitted key locking mechanisms and a Cash rating of £100,000 / Valuables cover £1,000,000. 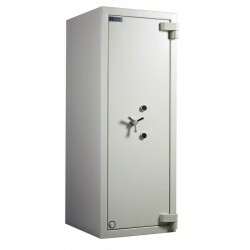 Chubb Safe Trident Grade V Size 600K comes with two double bitted key locking mechanisms and a Cash rating of £100,000 / Valuables cover £1,000,000. 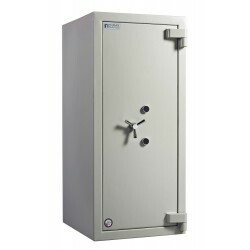 Chubb Safe Trident Grade V Size 910K comes with two double bitted key locking mechanisms and a Cash rating of £100,000 / Valuables cover £1,000,000. Chubb Safe Trident Grade V Size 1120K comes with two double bitted key locking mechanisms and a Cash rating of £100,000 / Valuables cover £1,000,000. 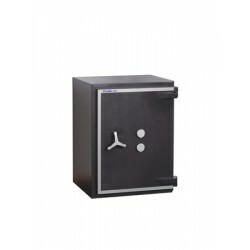 Dudley Safe Europa Grade V (Size 1K) comes with two double bitted key locking mechanisms and a Cash rating of £100,000 / Valuables cover £1,000,000. 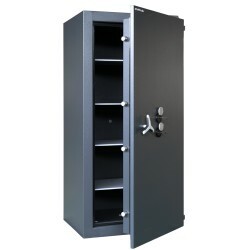 Dudley Safe Europa Grade V (Size 2K) comes with two double bitted key locking mechanisms and a Cash rating of £100,000 / Valuables cover £1,000,000. 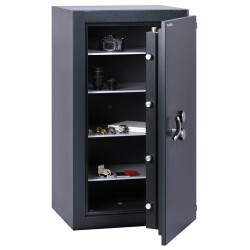 Dudley Safe Europa Grade V (Size 3K) comes with two double bitted key locking mechanisms and a Cash rating of £100,000 / Valuables cover £1,000,000. 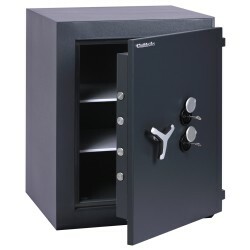 Dudley Safe Europa Grade V (Size 4K) comes with two double bitted key locking mechanisms and a Cash rating of £100,000 / Valuables cover £1,000,000. 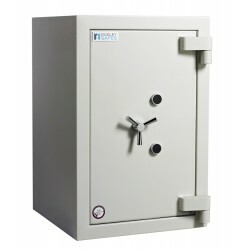 Dudley Safe Europa Grade V (Size 5K) comes with two double bitted key locking mechanisms and a Cash rating of £100,000 / Valuables cover £1,000,000. 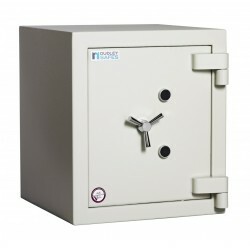 Dudley Safe Europa Grade V (Size 6K) comes with two double bitted key locking mechanisms and a Cash rating of £100,000 / Valuables cover £1,000,000. Dudley Safe Europa Grade V (Size 1E) comes with two digital locking mechanisms and a Cash rating of £100,000 / Valuables cover £1,000,000. Dudley Safe Europa Grade V (Size 2E) comes with two digital locking mechanisms and a Cash rating of £100,000 / Valuables cover £1,000,000. Dudley Safe Europa Grade V (Size 3E) comes with two digital locking mechanisms and a Cash rating of £100,000 / Valuables cover £1,000,000. 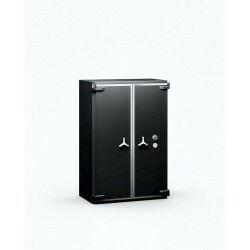 Dudley Safe Europa Grade V (Size 4E) comes with two digital locking mechanisms and a Cash rating of £100,000 / Valuables cover £1,000,000.